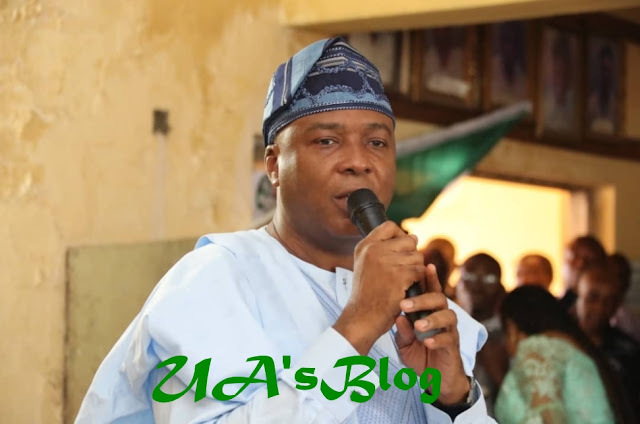 President of the Senate and one of the contenders in the ongoing elective National Convention of the major opposition party, the Peoples Democratic Party, PDP, Dr. Bukola Saraki, has promised that he would unite Nigeria and grow the nation’s economy if given the mandate to become the President of Nigeria. Saraki stated this in his speech at the PDP convention ongoing at the Adokiye Amiesimaka Stadium in Port Harcourt, Rivers State. Saraki urged the PDP delegates not to vote for just today alone but vote for both today and tomorrow by voting for him. He said, “Tonight, I am humbled, hopeful and determined as I see the faces of the delegates in the Garden City, Port Harcourt, Rivers State. “Tonight, millions of Nigerians watch us — as we carry their aspirations, their dreams and their hopes. “We must move away from the past. We cannot vote on sentiment. We must vote for somebody who is capable and someone with a proven track-record of performance. “If you are looking for a courageous leader, who will lead from the front and unite this nation, I urge our delegates to vote for me in the hours ahead. “Let us work together and find somebody who will fight for justice. Let us improve on our economy. “You cannot give what you don’t have. You can only give what you have. “Let us find a president that will make this economy better because he knows what it takes in making it better. “I stand here before you…Today is the day you can open a new chapter in this country…to vote for the interest of all Nigerians. “Let us vote for today and tomorrow. “I Promise you, I will work hard to unite this country; I will work hard to bring prosperity back to this country and grow this economy for the millions of millions of youths. “I will have a youths-driven government; a result-orientated government. A government that will have youths to participate.